NOTE: Some of these steps will need to be completed on the physical Hyper-V host, and others will be completed in the DPM VM after you have installed the Operating System. In order for DPM to be able to use a hard drive for backups, it needs to be attached to the DPM system only. For example, even though we have virtual machine running DPM, we cannot use .VDHX hard drives. 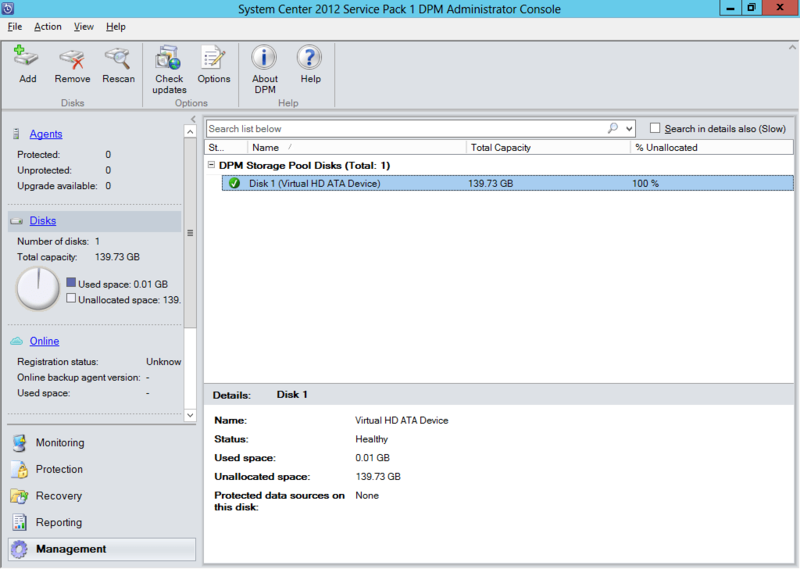 That means we need a physical disk from the Hyper-V host to be made available to the DPM VM. 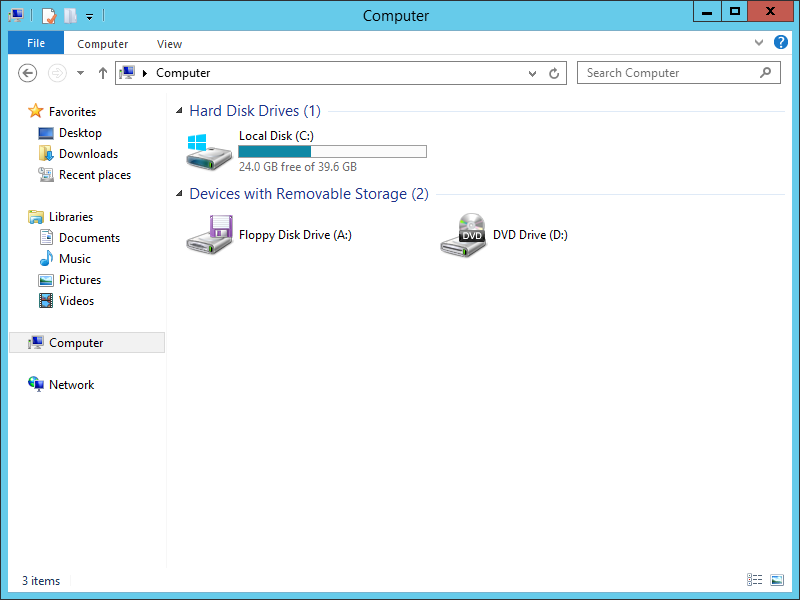 It is important to note that if you have a hard drive that is present and visible to the physical Hyper-V host, you won’t be able to connect it to the VM. 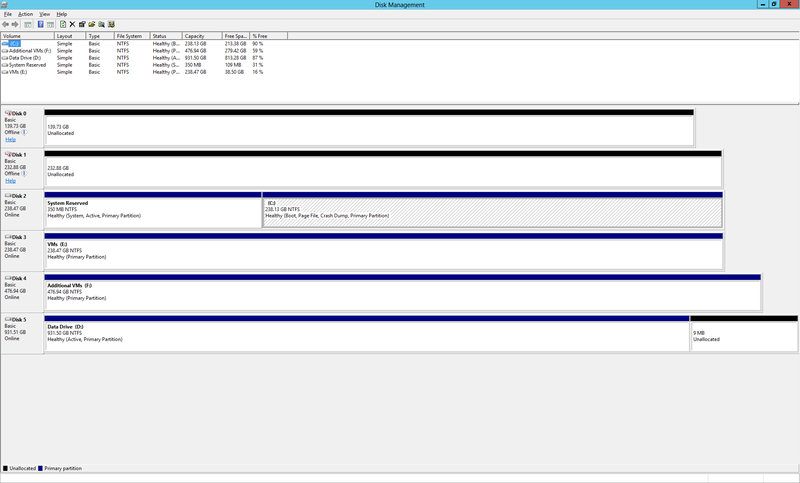 Here’s a screenshot of the Disk Management console on my physical host machine. You will note that there are 2 disks that are Offline. I am going to use one of these for my DPM backup storage. In looking at my DPM VM settings, I have added another IDE Hard Drive. I have set the drive to Physical Hard Disk, and as you can see in the screenshot, I can choose one of the 2 drives that were Offline in my physical host. If any of those drivers were Online on the host, although Unallocated, they would not appear in the selection. Now on my DPM VM system in File Explorer, you can see that although we added that physical disk in the Hyper-V settings, it is not appearing in the system. We need to launch the Disk Management console. When it opens, you will see the physical disk that we attached, but notice that it is also ‘Offline’. We need to right-click on the Offline disk, and choose ‘Online’. 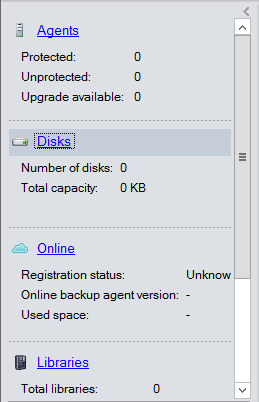 You will notice that even though the disk is now Online, that the space is still Unallocated. This is fine as DPM will prepare the disk when we add it to the tool. Now that we have a physical disk available to the VM, we need to add disk(s) to the DPM tool. Start by launching the DPM console. 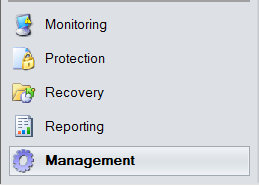 Within the console, click on Management. In the Management space, click on Disks. In the toolbar at the top, click on Add. 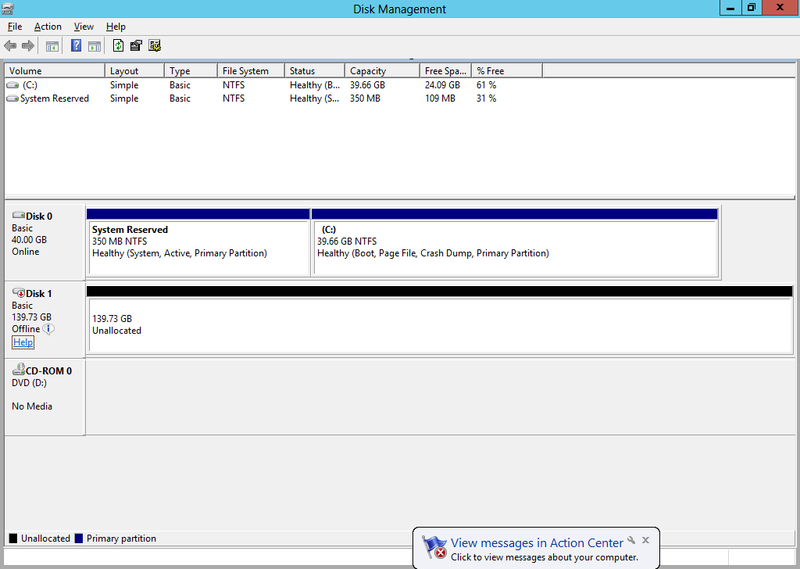 In the Add Disks to Storage Pool dialog, locate the disk(s) you want to include, and click the Add button. When you have added all the disks you want, click OK.
You may encounter the following Warning message. Click Yes. Once the disk(s) have been added, they will appear in the DPM console, ready for use.